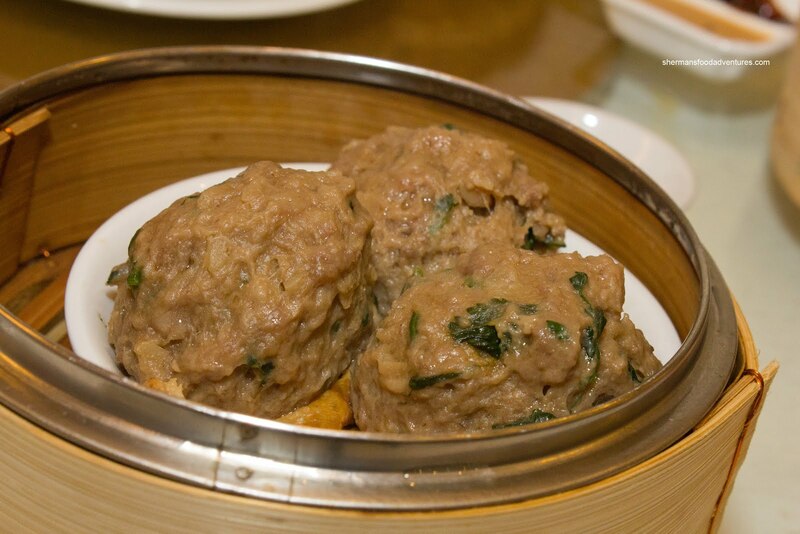 Whenever Goose is back in town, he often suggests that we head for Dim Sum. 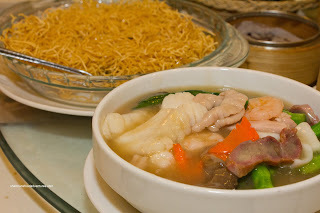 However, it usually means a visit to Victoria Seafood Restaurant at Royal Centre. Hey, I don't mind the place and in fact, that was the place Viv and I held our wedding banquet. On the other hand, with sentimental thoughts put aside, there are better choices to be found in the GVRD. So I proactively suggested we try some place different, particularly in Richmond. Richmond? Why? 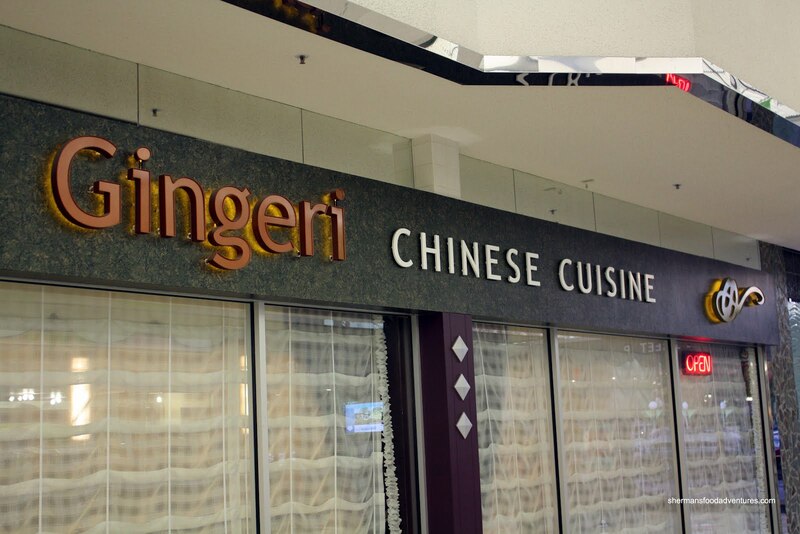 Well, it is the mecca of Chinese food in the Lower Mainland after all. That almost negates the driving issues... Almost... Since we had to pay Toys R Us a visit anyways, I figured Gingeri would be our best bet. We had made a reservation which more or less we got it on time. A major feat for any Chinese restaurant I might add (for Dim Sum service that is). So what did we start with? The Egg Tarts of course! Dessert? Hey, it's a new fad, reverse eating. You must try it sometime. Instead of a appetizer, why not a lava cake or a baklava? Of course I'm kidding, but then again, we've seen stranger food trends... You see, in a Chinese restaurant, food expedition (especially during Dim Sum) is pretty random. Sort of whatever is ready goes out of the kitchen. 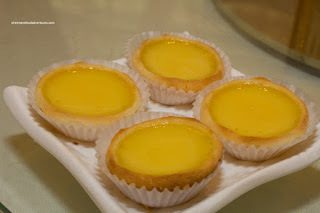 Anyways, the Egg Tarts were not exactly my cup of tea (pardon the pun considering Dim Sum is AKA "yum cha" or drink tea). The tart shells were more of the butter doughy type rather than the puff pastry version. Hence it was denser and to me at least, did not go with the soft egg custard. Too bad really since the custard was silky and not too sweet. Next up were the Rice Noodle Rolls (we got one each of the Shrimp, Beef and Ja Leun). The rice noodle was soft while not sticky nor loose. 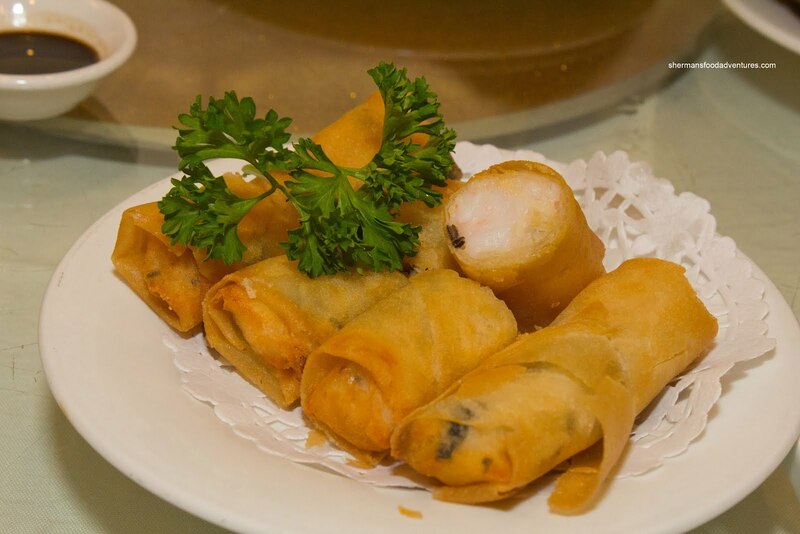 Each roll was neatly prepared with plenty of filling. The large shrimp had a good snap as well as exhibiting a natural sweetness. I particularly liked the beef filling as it was soft, yet still meaty. The salty donut in the ja leun was crisp and went really well with the soft noodle. It was too bad the darn thing was so small that we had to get 2 orders. Something that I normally do not prefer in Haw Gow are bamboo shoots. I don't think they add much in texture since they get limp in the cooking process. Furthermore, when not prepared correctly, the smell and flavour of bamboo shoots overwhelm the delicate shrimp. Well, apparently, they did a fine job here since there was no stinky aroma from the bamboo shoots despite its obvious existence in the shrimp filling. 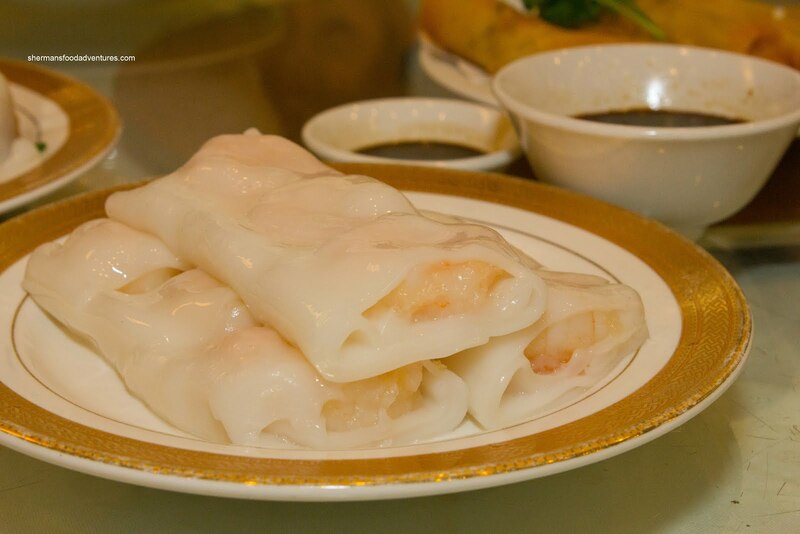 In fact, the shrimp and shrimp mousse filling were sweet with the essence of sesame oil. 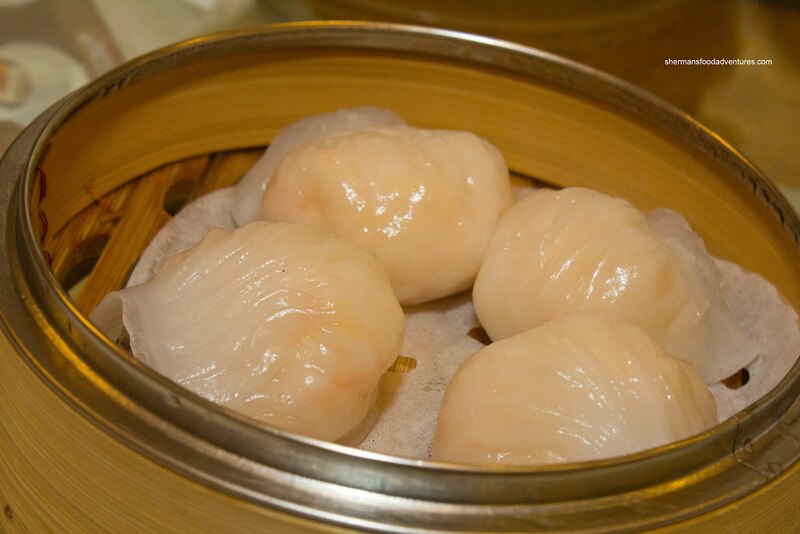 The texture had a snap while the dumpling skin had good elasticity. 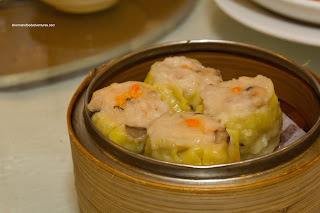 On the other hand, the Sui Mai were not as successful. They were pale and full of chewy pork which did not have any bounce or snap. This could've partially been attributed by the use of lean meat and not much in the way of added fat either. With the lack of fat, meager amount of shiitake mushroom and the some conservative seasoning, the dumplings were pretty bland too. Much like the beef filling in the rice noodle roll, the Beef Meatballs were just as good (probably because they originated from the same mix). There was a good bounce texture combined with a level of meatiness. The water chestnuts added a nice crunch and brightness to the well-seasoned meat. Another solid dish was the Black Bean Spareribs. Despite the fact you'd need a search party to find the black beans, there was plenty of flavour in the form of garlicky savouriness. As evidenced in the picture, most of the rib pieces were attached to bone which are the best parts. The meat was slightly on the chewier side yet still easily eaten with little effort. Something I really liked was the puffed tofu at the bottom which soaked up all the flavours (and fat). I know it ain't rocket science, but something other than pumpkin made it interesting. 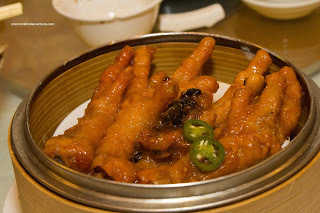 Now for an epic fail - the Phoenix Talons (chicken feet). 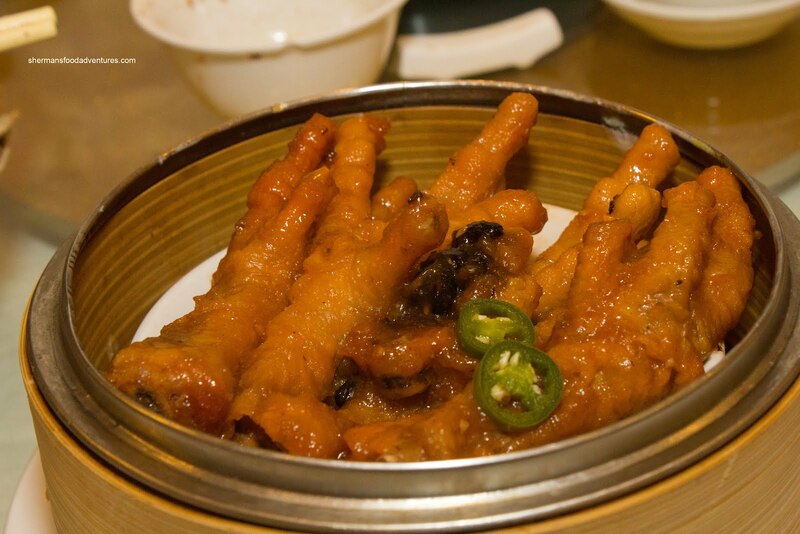 For those familiar with this dish, if you look closely, it is obvious that the chicken feet were not fried properly. They were so under-fried, they could've passed for boiled if not for its colour. Hence, the skin was hard and the cartilage underneath was inedible. The only saving grace was the abundance of flavour from the black beans and jalapeno peppers. Normally, the Shrimp Mousse Stuffed Eggplant is fried and then laced with a black bean & bell pepper sauce. The version here was tempura-battered and fried. As a finishing touch, it was dusted with chili garlic wok salt. This was pretty good. 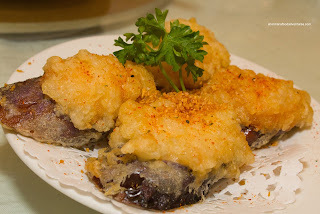 Due to the batter, the eggplant remained very moist as well as the shrimp mousse. Hence there was a wonderful textural contrast between the crispy exterior and the moist ingredients. The chili garlic wok salt was aromatic and flavourful. It complimented the sweetness of the shrimp. Normally, we get at least one offal item, however, when there is the Offal Hot Pot, we go big or don't bother. 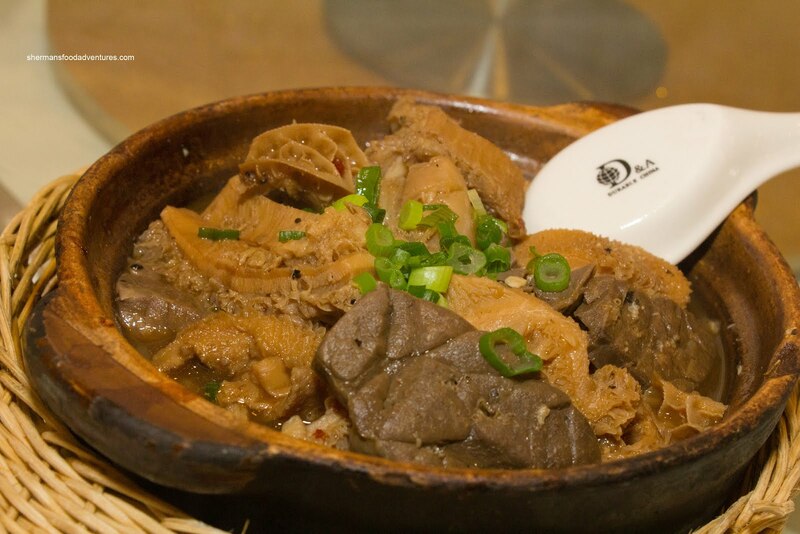 Who can resist a whole pot of lung, tripe, tendon and spleen??? Although it is generally a good idea to braise the meats until tender, this was taken a bit too far here. Most of the pieces were far too soft. It was a big bowl of mushy offal. 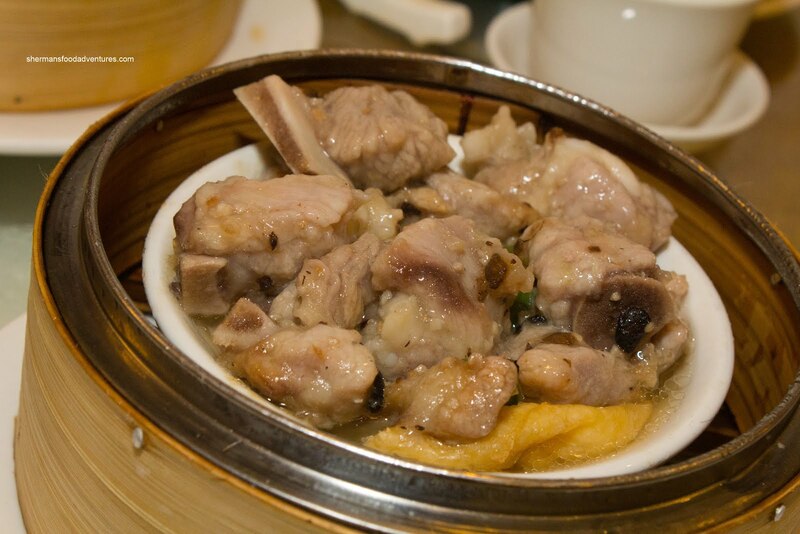 The tendon and tripe were particularly textureless. At the very least, the seasoning was good with a surprising hit of spiciness. Okay, onto something more universally appealing - the Shrimp Spring Rolls. No offal in here! In fact, these were fantastic. They were crisp, not greasy and full of whole shrimp. Great texture on the shrimp as well as a nice crunch from the addition of wood ear mushrooms. To top it off, there was plenty of seasoning in the form of garlic and a good balance of salt combined with the natural sweetness of the shrimp. Lastly, we got a filler dish to ensure our fullness. We ordered off the regular menu and ended up with the House Special Fried Noodles. This was served with the fried noodles separate from the ingredients and sauce. The premise behind this was to keep the noodles crisp. However, this was a moot point since the noodles were not all that crispy. Rather, they were greasy and lacking the slightly burnt noodle ends that we are accustomed to. Oily noodles withstanding, the sauce with all of the ingredients was very good. It consisted of BBQ pork, sliced chicken thigh, shrimp, basa, squid, scallops, sliced carrots and yau choy. I actually left out 3 items from the meal which were some buns and the pan-fried noodle rolls. Just too much to talk about. However, I'm sure you get the gist of it from all the aforementioned food in this blog post. 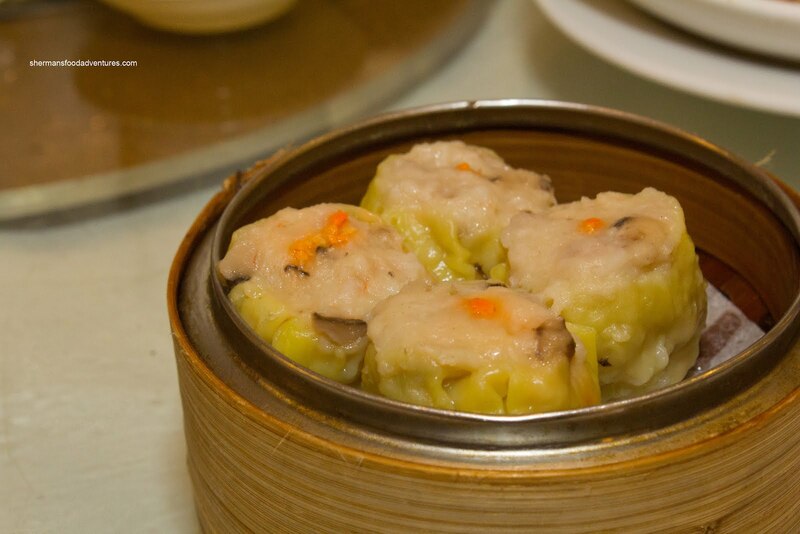 Generally, Dim Sum at the Gingeri is solid with only a few exceptions. Now, you can look at it 2 ways. For the relatively higher prices here, one would expect no duds. On the other hand, we can take the position that there will never be perfect meals, consequently, if over 75% of the food is good, then it is a good meal. For me, I happen to agree with the latter. 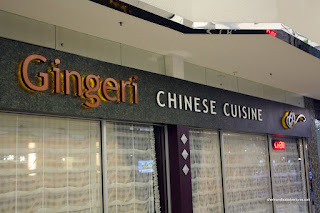 I actually prefer Gingeri to other yum cha places. Prices are higher but food is better than most places. And I like these types of egg tarts over the puff pasty ones. Maybe it is because I ate these ones the most when I was little. @kmyk Yah, food is quite personal. It does stem from what you are familiar with as well.